Finally, a real vampire! Hopefully, this series won’t go rambling off into the weeds and thicket like “Vampire Knight.” I like the two main characters in this series and the artwork is a real pleasure to edit. As I said in the teaser, I will continue translating this series. Next up is another new series from Aria called “Iiki Noki.” Our new member, Blottyparchment did the translation. I will do the English adaptation. It should be out in a 3 – 5 days. hellow 🙂 Just curious on page 002 the dialogue on the bottom has been flipped and I can't tell what it says. Please let me know. This story is a little confusing because she talks about these two boys but isn't one of them Aki the one with the bandages around his eye and his brother Eyria? So why does she talk as if she doesn't remember the name of one of the boys? sorry if it's just me and I'm slow 😦 but I like the story I just wish I understood it a little more. -Aki is the boy with the bandages around his eyes and Eriya is the other boy. They are twins. -Apparently she remembers Aki because either she didn't answer Eriya or she rejected Eriya. We don't really know yet. I imagine what happened that night will be revealed as the story proceeds. No worries, Mango…I think this story is supposed to be a mystery. thanks so much for this second chapter and continuing this manga!! Thanks for taking up this manga. I'm not a fan of vampire stories but this one looks really interesting. I really like the art and the characters so far. Thank you! This chapter was interesting but it's diffucult to know were the story is heading. It's intriguing and the art is nice though so it's promising. 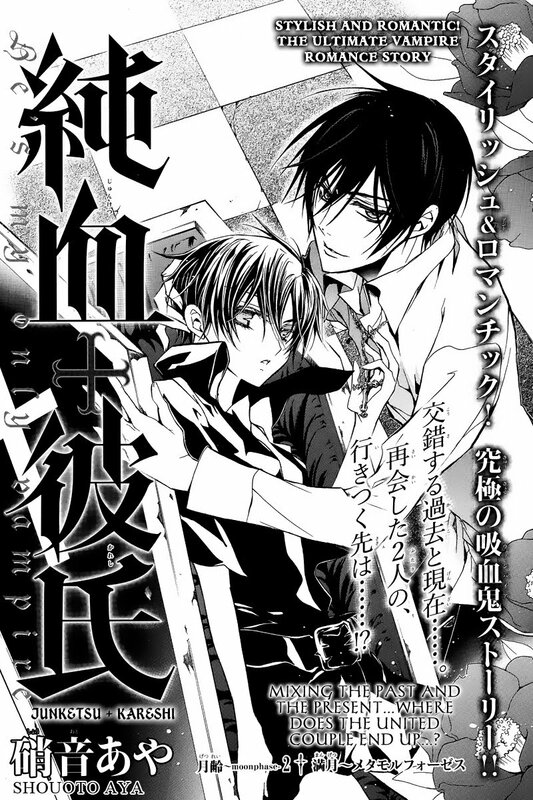 Haha, I just realized that Aki's holding the lid to the coffin that Kanami is in in that title page. Intriguing. @Nea — yep! And Kana is wearing his jacket…hmm…what can that mean? ooooh!! it's awesome!! thank you very much!!! i'm waiting for next chapter!!! 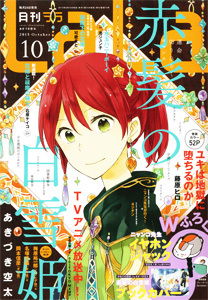 Thank you very much for scanlating this series. I think it's really a promising one and the plot so far is very interesting. Haha! Omar's my brother ;p. I'm his sister. Thank you for translating this series! Looking forward to the next update!